One of the key costs facing fleet operators who service their fleet with bunkered fuels relates to microbiological fuel contamination, caused by the build up of harmful bacteria and fungal growths that live in the interface layer between the fuel and water layer of combustible fuels like diesel and bio-diesel. 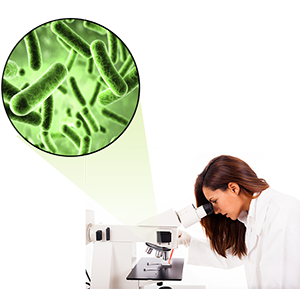 These micro-bacterial and fungal growths are often referred to as “fuel bugs” or microbial growths. All of which will increase your day-to-day life-cycle costs and reduces your fleet’s in-service earning potential. 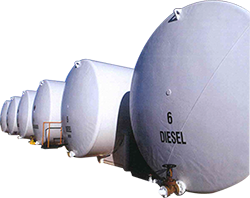 The only 100% effective method of treating fuel contamination is to add a fuel biocide to the bunkered fuel stored in depot fuel tanks. Regular treatment by adding biocides will kill the fuel bugs but unfortunately it also produces another unwanted side effect. As the fuel bugs die and their biomass falls to the bottom of the tank, breaks down and forms a brown-black sludge. Which quickly builds up at the bottom of the fuel storage tank. This sludge like the microbial growths also causes damage to fuel systems/fuel filter and fuel injectors during the engine combustion process, increasing your fleet maintenance and repair costs. It also creates maintenance costs for the maintenance of the fuel tank itself, as the operator will need to routinely drain the fuel and clean out the accumulated biomass. Failure to do so will again lead to additional engine maintenance costs and loss of fuel performance. 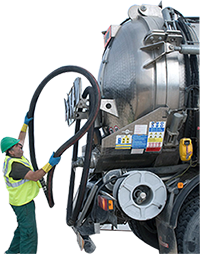 Finally the correct disposal of the contaminated waste and sludge through closely managed recycling channels adds yet another cost to the fleets bunkered fuel life-cycle costs. Adopt a reoccuring maintenance regime - by adding biocide to each fuel tank and removing the sludge by drain and cleaning the fuel. Remove all the water from the fuel – effectively removing the oxygen acquired from the water that the bug needs to survive. Add a Biostat – to inhibit growth and or reproduction of microbial colonies (bacteria & fungal growths) in the water / fuel interface layer of the fuel. Option 1 is normal industry practice and costs a lot of time and money to maintain. Option 2 in reality is very hard to achieve for a number of reasons but one key reasons is that it is hard to control the moisture in the air surrounding the fuel inside the fuel tanks. Air moisture increases at lower temperatures, which in turn creates the water for the fuel /water interface layer to reappear, and thereby providing the mechanism for the fuel to become re-infected. So in reality this option merely reduces the intervals between infections and routine retreatment and cleaning. Option 3 is the by far the best option, because a biostat concentrates and accumulates the catalyst’s biocide into any water that is present in the fuel. This ensures that the bunkered fuel retains a very high concentration of biocide from to eradicate microbial infections. In effect it uses the water to store concentrated biocide and kill the fuel bugs preventing re-infection at the interface layer (between the fuel and water). VFT’s fuel catalyst (FPC) Ferrous Picante contains a highly potent biocide / anti-bacterial agent with a phenol coefficient of 6. This same chemical becomes a highly efficient biostat once the microbes are dead, preventing the re-infection of fuel tanks and fuel filters where the microbial colonies try to live and grow. To ensure re-infection does not occur fuel treated with VFT's fuel catalyst can reach concentration level of 75 ~ 300 ppm (depending on water content present). This makes VFT's Fuel Catalyst BIOCIDE technology the clear market leader. Not only does it help to improve fuel economy and power performance of the vehicle in service. Prevents re-infection and build-up of biomass sludge caused by constantly killing new microbial growths and contaminations. You can break this endless cycle of maintenance and reoccurring costs – Invest in VFT’s Fuel Catalyst Technology today and see the difference in your pocket tomorrow.